You might be pondering upon the car depicted in above picture. What is it? A car caught in the flood waters or a crazy fellow trying some adventurous stunts? Don’t get confused with the outnumbering ideas popping up in your mind. This car is really swimming…yes! It is an SUV that is capable of riding on land as well as on water. It is known as ‘The Amphicruiser’- the name that is derived from its amphibian characteristic and the Toyota Land Cruiser engine under hood! This innovative 4WD SUV is to serve both commercial and recreational purposes. 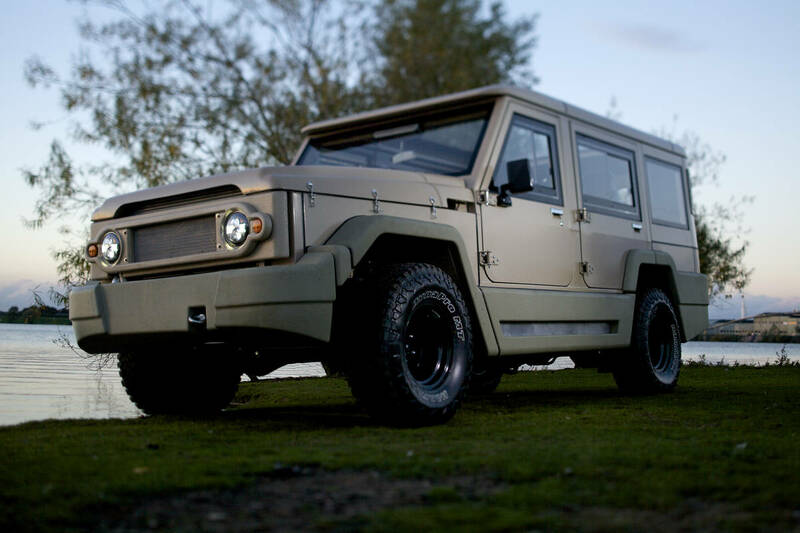 Amphicruiser is designed and commercialised by Dutch Amfibious Transport (DAT), a Nederlands based company that has successfully ventured into the business of amphibious vehicles. “We wanted it to be as solid on water as the land cruiser is on land” said Dirk-Jan de Jong, co-founder DAT. In addition, Amphicruiser is a totally hand built vehicle that is built around the 4.2 Lit engine of Toyota Land Cruiser. The chassis is completely made of stainless steel-mainly to avoid rusting. While running on the road, it behaves like a normal vehicle and can catch highway speeds effortlessly. The real innovation comes into play as it enters the water. After entering into the water, the power developed by the engine is no longer transferred to the wheels but instead is given to water jet under the body of the vehicle thus enabling it to ride over the water surface. Inflatable door seals avoid water entry into the passenger compartment. However, the speed of the vehicle is limited to 13 km/hr only while traveling through water. In both the modes of operation i.e. on land and in water, the car is steered by using the same steering wheel. So, no special training is required to drive this vehicle. Amphicruiser is not the first vehicle in this category but its performance is articulate because of the fact that it hardly employs any special mechanism to run on water compared to its rivals. At present, two trims of this SUV are on offer. The basic model costs around USD 1,80,000 while the fully equipped four-door model costs around 2,48,700 USD. The price tag is a bit higher on account of customisation. According to the company officials, the demand for this product is more from Arab countries especially Dubai. The company also wants to promote this vehicle as a ‘rescue vehicle’ so it could be a part of rescue teams of armed forces. So, this is all about the ‘frog’ natured SUV…Let us hope to see this vehicle cruising Indian terrains soon! Home » Articles » Take your Amphicruiser SUV Into Water. Wait, what?